Bygone Bestsellers is an Interabang project devoted to works with enduring value, going beyond name recognition or Top 10 lists from years ago. In some cases the recognition is fading; in others, TV or movie adaptations have kept the name familiar. These books’ heyday may have passed, but they offer fresh rewards for today’s readers. Each season Kyle will recommend four of them, all still in print decades after they first landed on bestseller lists. Click here to read last week's Bygone Bestseller: Colleen McCullough's THE THORN BIRDS. When THE FRENCH LIEUTENANT’S WOMAN became a massive bestseller, movie producers immediately bought the film rights, typical for big hit books of the time. The movie people overlooked the obvious, though: For one thing, the book famously has two endings, allowing readers to settle on the one they prefer. (Fans are still arguing about which is better.) For another, alternating with the story of a Victorian gent obsessed with a mysterious woman are chapters of English history that put the plot twists into fascinating, real-life context. How to put that onscreen? The playwright Harold Pinter figured it out, ingeniously, and a dozen years later Meryl Streep and Jeremy Irons starred in the 1981 film. Movie masterpieces are rarely based on literary masterpieces, but this time it happened. In both, we see a man’s life thrown off course after a single look at (or is it a look from?) a romantic figure in the distance. That figure – that woman – charts her own course, slipping away from Victorian constraints as she makes her way from lady’s maid towards liberation. Did the woman even notice our hero at the moment she captivated him? If not, it’s because she was minding her own affairs. Ultimately, the so-called French Lieutenant’s woman is her own person. She has a name: Sarah Woodruff. 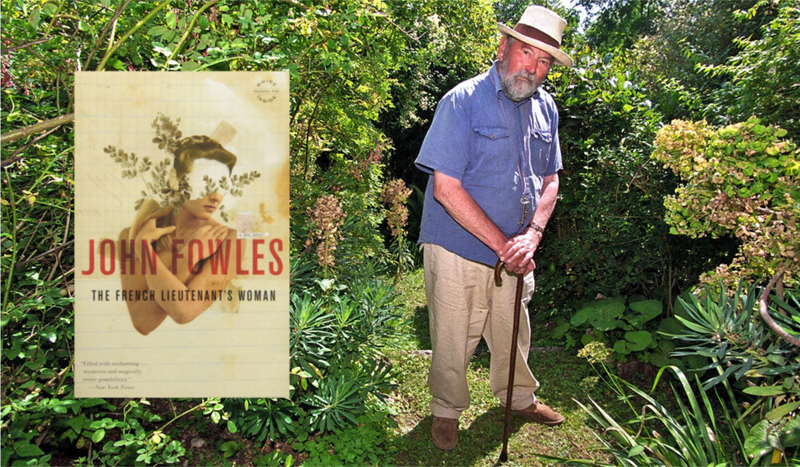 She is nobody’s possession unless she wants to be – and as to whether she does, remember that after all the romantic intrigue John Fowles lets you chose your ending. But Sarah cannot end up with the French Lieutenant: He isn’t in the book at all, if he ever existed.